While the style spotlight has been on skinny jeans for several years now, rest assured that they’re not the only cool kids on the block. 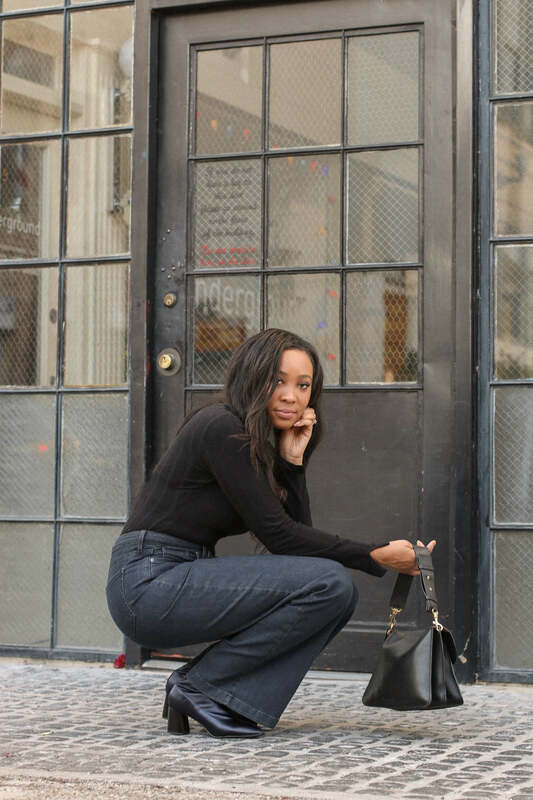 Flare jeans (and their bootcut and wide-leg sisters) are back and better than ever. If your inner flower child is itching to embrace the trend, pay tribute to this 70s-era style icon by wearing your flares just about everywhere. Here are our top tips for rocking flares. Not sure if full-fledged flares are for you? Dip your toes into this denim trend with a pair of bootcut jeans—the style sister with slimmer leg openings. Top your dark wash pairs with a tucked-in blouse and blazer for nine-to-five days. Once you’re comfortable with bootcut hems, feel free to take things to the next level with some wide leg pants. Stylist Tip: To balance the silhouette of your wider hems, top your flares (of any width) with a structured button-up or fitted top. No need to be a disco diva to conquer this floor-grazing denim trend. A higher rise will lengthen your leg line, providing an ultra-flattering look for women of any height. Don a slim-fit turtle neck and prevent your hems from dragging on the floor in block heel pumps or booties. Allow your inseams to rise with the temperature and slip into cropped flares when you’re basking in warmer weather. If you’re feeling like the cropped length is visually shortening your legs, try a tucked in top and opt for heeled booties or a wedge sandal to lengthen your lower half. Flares offer major retro vibes, but you can add a modern twist with trendy details. Swap your traditional baby blues for flares with frayed hems, embroidery or pintucks down the center of the leg. Top the look with a jewel tone that’s trending this winter—sure to elevate your casual-cool weekend looks. Looking for a fresh pair of flares? Let your Stylist know when you schedule your Fix!